The Department of Family Medicine (DFM) is proud to welcome 44 new residents in its sponsored and affiliated programs statewide—and congratulates the residents in the class of 2014. Of the 40 graduating residents, 25 (63 percent) will remain in Wisconsin. 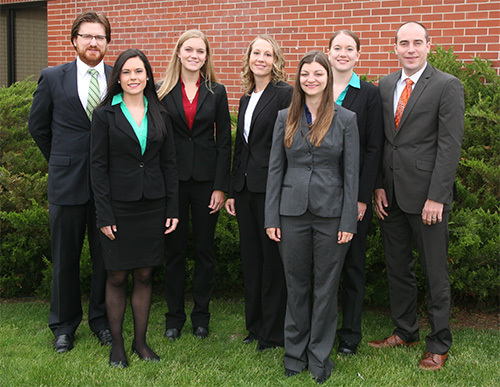 Five graduates will enter fellowships, and one will practice at Hillside Health Care International in Belize. New Baraboo residents, from left: Abigail Puglisi, DO; and Neil Cox, MD. Before and during medical school, one incoming Baraboo resident worked as a chemistry teacher in Tanzania for the United States Peace Corps, tutored grade-school students, and helped beautify the city of Detroit by tearing down blighted buildings and processing materials for reuse. The other incoming resident co-founded a global health learning collaborative at her medical school. She also created a curriculum for a global health survey course and served on medical mission trips to Honduras. The two Baraboo graduates will enter family practice in two rural communities with populations under 8,000: Iron Mountain, Michigan, and Morehead, Kentucky. 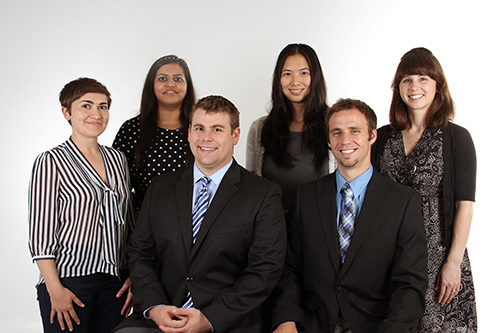 New Eau Claire residents, from left: Lauren Sauter, MD; Sakina Sachak, MD; Andrew Poulos, MD; Katherine Wang, MD; Michael Braunsky, DO; and Gretchen Adams, DO. Before entering medical school, one incoming Eau Claire resident worked as an analytical chemist, tutor, chemistry lab preparer, and chemistry grader. Another worked at an infertility clinic and one was a Peace Corps volunteer in Romania. The new Eau Claire residents are looking forward to pursuing their diverse clinical interests, which include public health, preventive medicine, sports medicine, osteopathic manipulative medicine, global health and wilderness medicine. Incoming residents enjoy many outdoor sports and activities, such as running, ultimate Frisbee, canoeing and kayaking, SCUBA diving, and hiking. 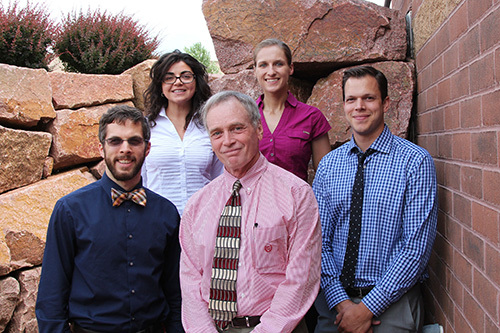 All of the members of the 2014 graduating class have accepted family medicine positions. They worked closely in residency, but will now have great distances between them as they begin their practices in Stephenville, Texas; Porterville, California; Arden Hills, Minnesota; and Toronto, Ontario, Canada. New Fox Valley residents. Back row: Michael Aleksandrowicz, MD; Kirsten Gierach, DO; Bre Anna Nagle, MD; Jaclyn Mullins, MD; Michael Otte, MD. Front row: Stacee Goedtel, DO; Jessica Lemke, MD. Incoming residents had diverse work experiences before entering medical school, including being a computer programmer/analyst, a microbiology researcher, a certified nursing assistant and a chiropractor. New residents come to the program with many honors under their belt. One is a Phi Beta Kappa member, one was a Gold Humanism Honor Society nominee, and another is a Mortar Board Senior Honor Society. They have also received support from the American College of Physicians and the American Academy of Family Physicians, the Robert F. and Irma K. Korbitz Endowed Scholarship and the Norbert J. and Martha Gray Klein Scholarship. Several of the program’s new residents have spent hundreds of hours volunteering in underserved communities in Madison and Milwaukee, as well as in Tanzania, Honduras, Nicaragua, Costa Ricaand Rwanda. Three of the program’s six graduating residents will stay in Wisconsin: in Little Chute, Oshkosh and Wrightstown. The remaining three will practice in Michigan, Minnesota and the Pacific Northwest. One resident obtained further training in addiction medicine and will practice primary care and mental health at the Winnebago Mental Health Institute. New Madison residents. 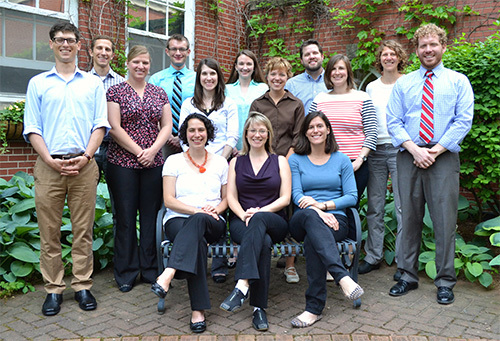 Back row: Jared Dubey, DO; Parker Hoerz, MD; Emily Ramharter, MD; Todd Domeyer, MD; Catherine Nelson, DO; Emily Torell, MD, MPH; Bonnie Garvens, MD; Bret Valentine, MD; Erin Peck, MD, PhD; Jennifer Perkins, MD; Eric Phillippi, MD. Front row: Jody Epstein, MD; Emily Jewell, DO; Julia Weiser, MD. The Madison program’s incoming residents are committed to caring for underserved populations, as demonstrated by their service at outreach clinics, global health organizations, and advocacy groups. Incoming residents have had learning experiences in numerous countries, including Ghana, Honduras, Kenya, Peru, Romania, South Africa, Spain, Tajikistan, and Tanzania. Two incoming residents were participants in the UW School of Medicine and Public Health’s Training in Urban Medicine and Public Health (TRIUMPH) program; another was a participant in its Wisconsin Academy of Rural Medicine (WARM) program. Ten of the Madison program’s 14 graduating residents will stay in Wisconsin. Four graduates will enter fellowships: the DFM’s primary care research, academic and integrative medicine fellowships, plus the UW Department of Medicine’s geriatrics fellowship. One graduate is entering the UW SMPH’s preventive medicine residency program. One graduate will practice in southern Belize as a Hillside Health Care International volunteer. 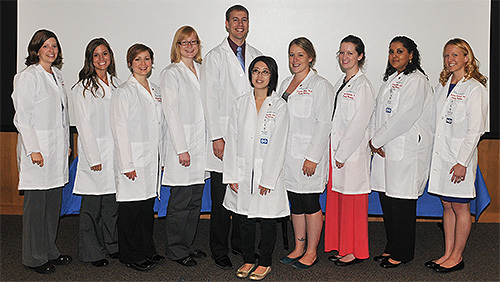 New Milwaukee residents, from left: Anne Lovell, DO; Sarah Karalus, DO; Michelle Crane, DO; Alyssa Krueger, DO; Brandon Phelps, DO; May-Lynn Chu, DO; Jasmine Wiley, MD; Breana Cummens, MD; Garima Chawla, DO; Stephanie McDearmon, DO. Seven of the 10 incoming Milwaukee residents are Doctors of Osteopathic Medicine. The new Milwaukee residents received their medical training at schools in seven U.S. states: California, Illinois, Iowa, Missouri, Ohio, Oregon and Wisconsin. Seven of the graduating Milwaukee residents are staying in southeastern Wisconsin to practice. 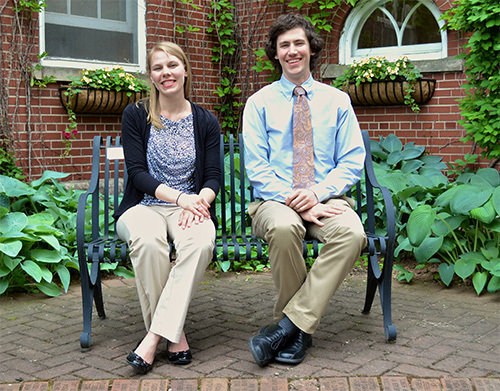 The remaining two residents are moving to New Jersey: one will enter a sports medicine fellowship at Rutgers New Jersey Medical School in Newark, and the other will practice at an urgent care clinic in central New Jersey. New Wausau residents.Back row: Alexandra Oleinik, DO; Tricia Gilling, DO. Front row: Andrew Olson, MD; Russ Clayton, MD; Jonathan Ernst, MD. Incoming residents’ experience prior to medical school including earning an MBA and working and visiting over 42 countries; owning and operating a fitness center in Middleton, Wisconsin; and practicing as a trauma and emergency pediatrics nurse. While in medical school, one incoming resident won a scholarship for academic merit; another won awards as a peer mentor and reproductive health educator, and authored several peer-reviewed publications. Outside of work, incoming residents enjoy travel, outdoor sports, carpentry, night photography and music composition. All five graduating residents will remain in Wisconsin, practicing at Aspirus locations in Wausau, Weston, and Wisconsin Rapids.